Today is Twisted Tasting Tuesday at Nationals Park as the Nats take on Cliff Lee and the Phillies. What this means for fans: free drinks! Fans age 21 and over can purchase all-inclusive tickets for $36, that include a right or left field corner seat, a private pregame party at the Center Field Plaza, a 16 oz. can of Twisted Tea, and $10 to spend on concessions. The promotion is timely, as many Nats fans need a drink or two when the Phillies (and their fans) come to town. 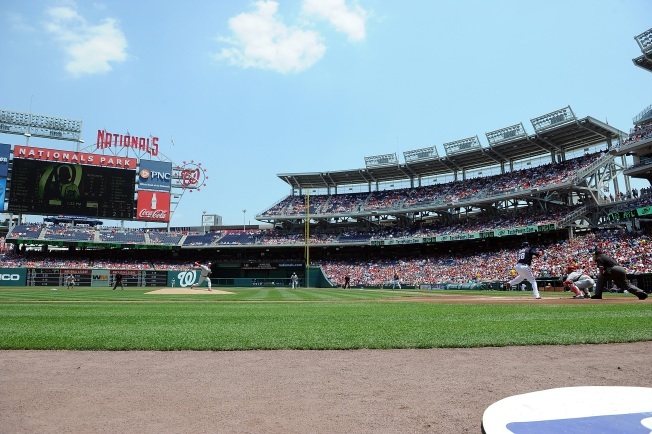 The Nats will host Twisted Tuesdays every Tuesday home game for the rest of the season. Visit the Nationals site or call (202) 675-NATS for information.